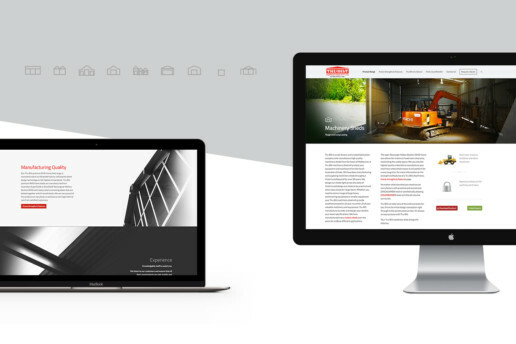 Branding development through print design (brochure, flyer, advertising) and responsive Wordpress website design. 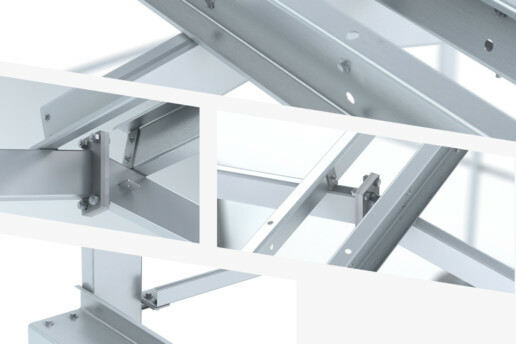 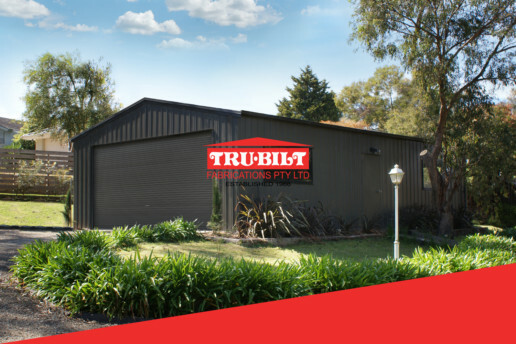 Tru-Bilt Fabrications is an Australian owned family operated business who manufactures steel sheds throughout Victoria. 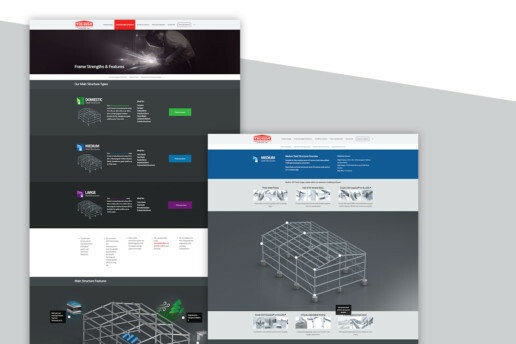 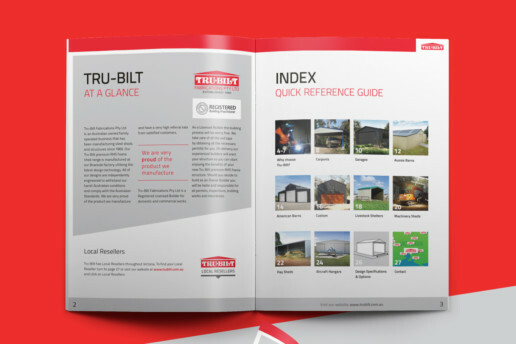 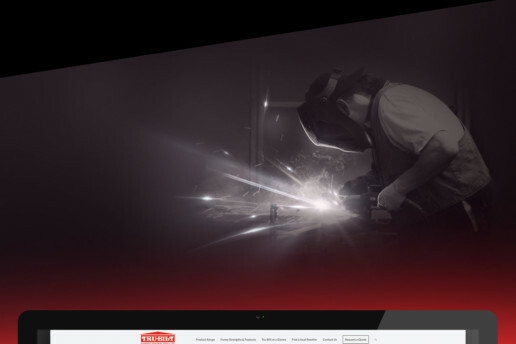 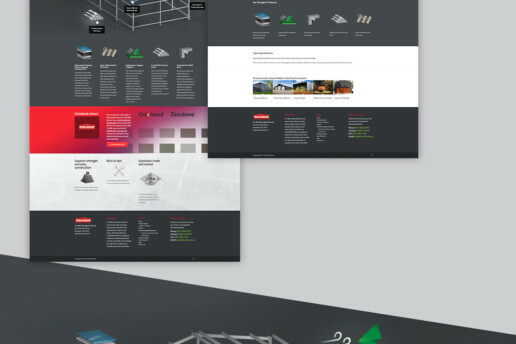 When I was first in contact with Tru-Bilt, they had taken the step of wanting to create a brochure showcasing their product line. 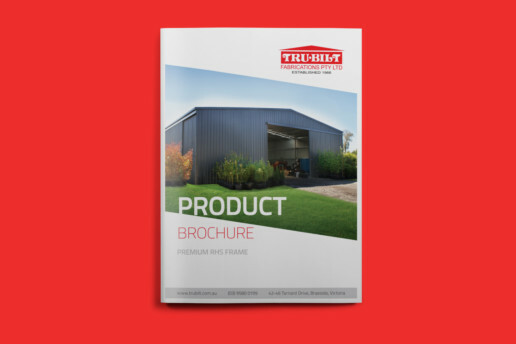 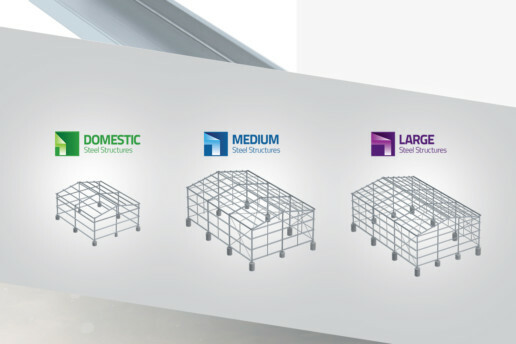 They wanted their brochure to be fitting with the type of sheds they made — custom, well built sheds that will stand the test of time. 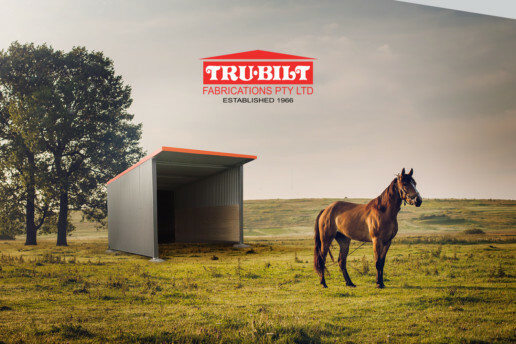 I took photos of their sheds around metropolitan Melbourne and we came up with a database of photos of their products. 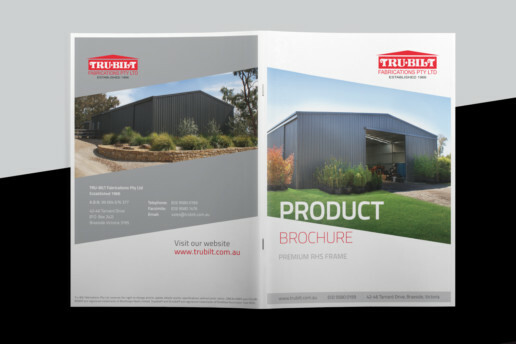 Using those photos, and a newly developed design language for the company, I created a brochure promoting and displaying their quality products. 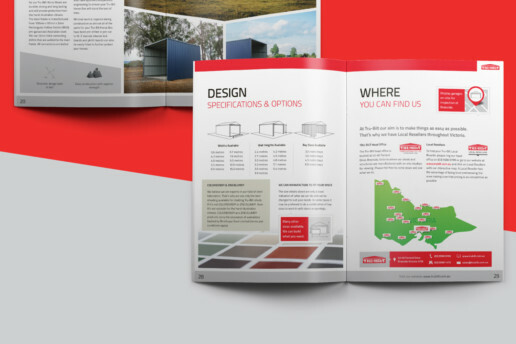 With very little existing design material, besides their logo, I came up with a brochure which I wanted to look fitting with not only that, but their modern structures which are strong, bold and customizable. 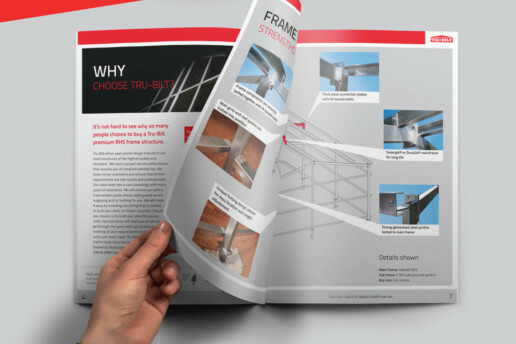 The angles in their logo are reflected throughout the brochure and promotional material. 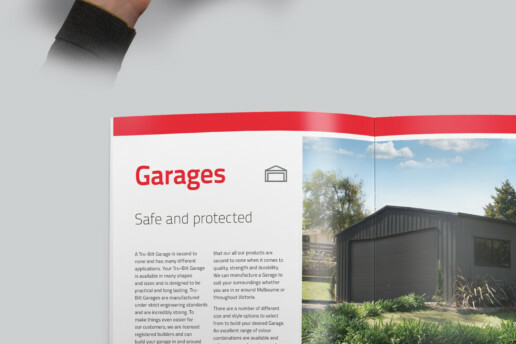 We also wanted to target a specific demographic for their products. 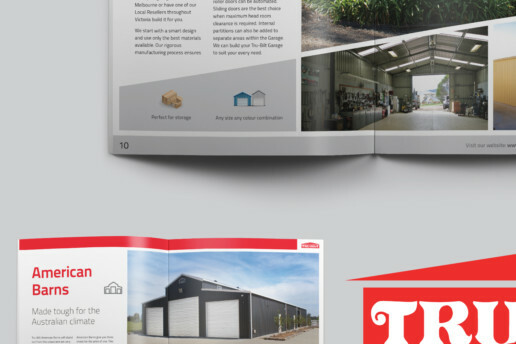 So, it was important to be clear, have slightly larger type, and design in a way that would be appealing for that market. 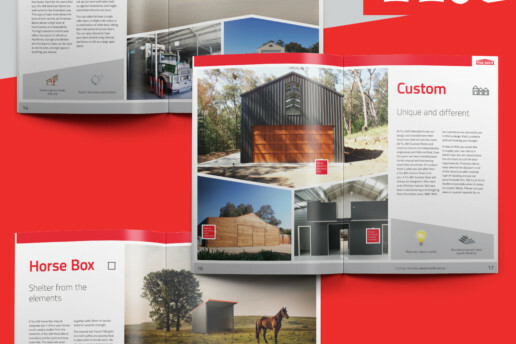 And, for what is a very custom process for the customer, we wanted to make the process feel as simple as possible. 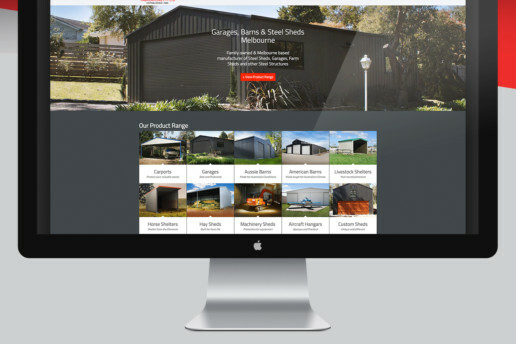 I’ve gone on to design their website in Wordpress, create advertisements, flyers, signage and other print based material. 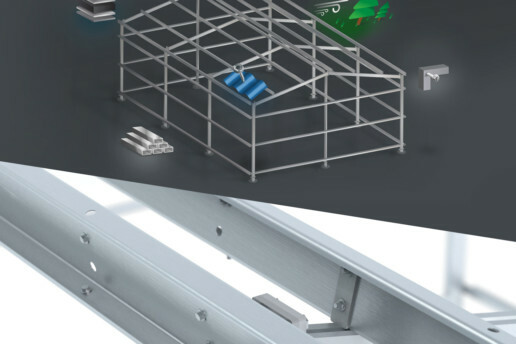 It was also a requirement that I import theirAutocad renders into Cinema4D to product high quality renders of their products.